This video will give you chills (starting at about the 0:25 mark). We need to remember to follow all the firearms safety rules, and apply them all the time. At the range, all it takes is one brief moment of inattention to create a life-threatening situation. Never assume the downrange area is safe. Use your own eyes and ears. We also have to wonder about the stage design. 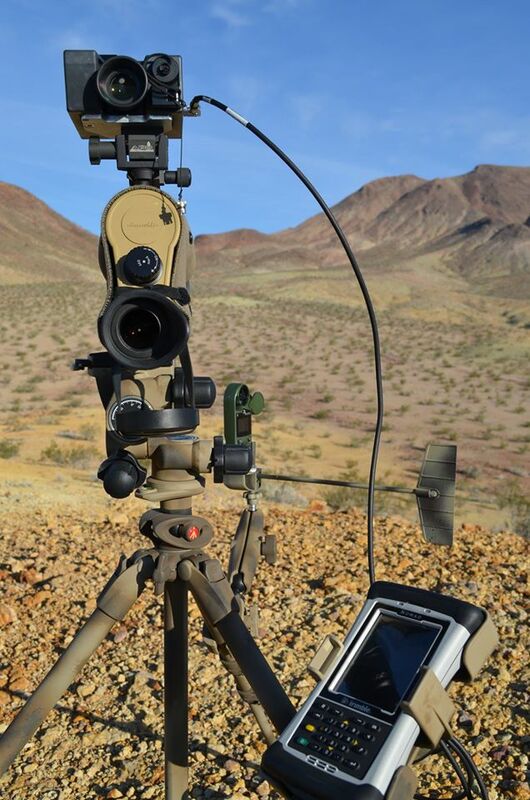 This set-up made it very difficult to see downrange. The white panels (see 0:10-0:20) definitely hid the target worker from view. In hindsight, given the way the stage was laid out, this was truly an “accident waiting to happen”. It’s fortunate that no one got injured in this incident. 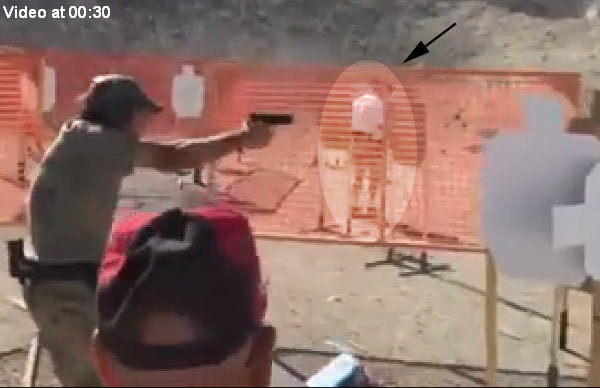 But this chilling video provides a lesson to all shooters — “Safety First”. How could this “near-fatality” have been averted? Post your comments below. Share the post "Shocking Video — Fatality Barely Averted"
Here’s an impressive hardware package for long-range shooting. 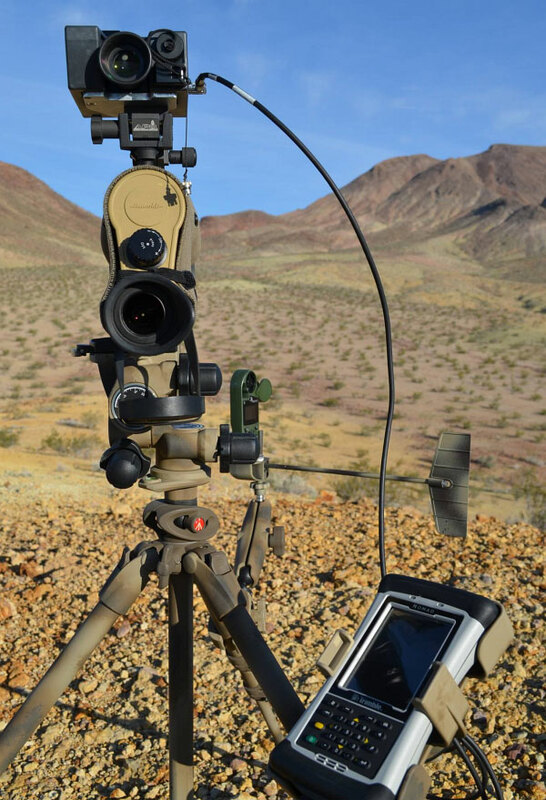 This set-up combines a folded-path spotting scope with a Laser Rangefinder (LRF) and a Kestrel Wind Meter. The LRF is mounted directly to the Hensoldt-Zeiss spotting scope ($4330.00 retail) so the two units stay aligned at all times. That makes it easy to spot and range your target quickly. 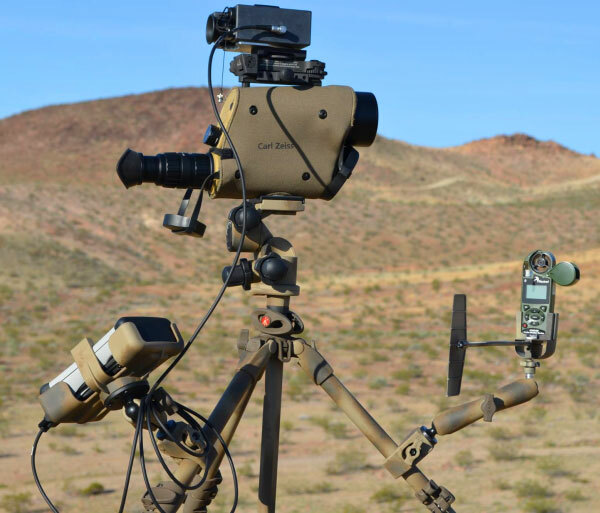 LRF and weather data is piped into a PDA which automatically generates a firing solution (providing windage and elevation adjustments). That’s slick. 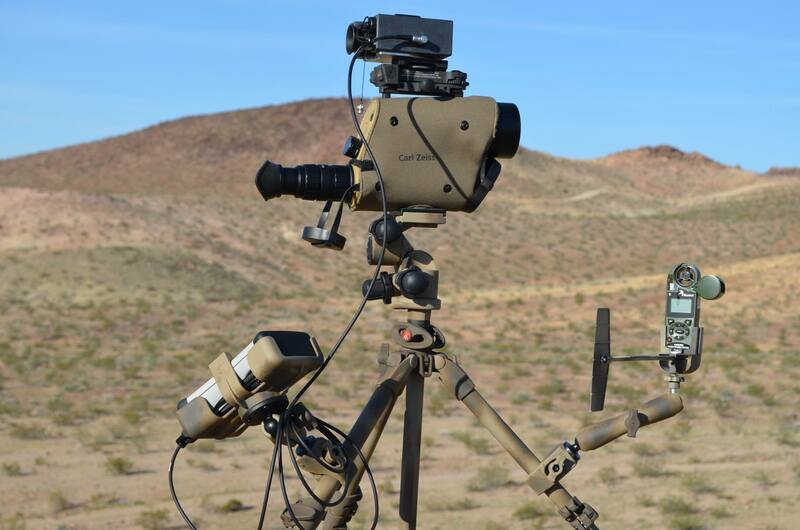 Share the post "Cool Rig Combines Spotter, LRF, Kestrel, and Ballistics Computer"